The most versatile stroller! With 12 riding options, from infant to youth, your kids will love getting out and about. 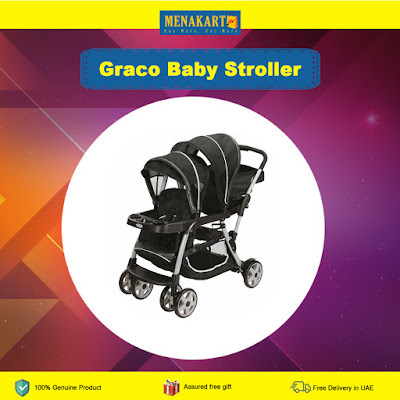 The Ready2Grow Click Connect Stand and Ride Stroller accepts TWO Graco SnugRide Click Connect Infant Car Seats, America's #1 selling infant car seats, has a standing platform and bench seat for your older child, and a removable Face Time rear seat for some bonding time with baby!